للمسافرين الذين يرغبون أن يعيشو كل ما تقدمه خليج هيرفى, Eurong Beach Resort هو الخيار الأمثل. يمكن من هنا للضيوف الاستمتاع بسهولة الوصول إلى كل ما تقدمه هذه المدينة النابضة بالحياة. يوفر الفندق بفضل موقعة الجيد وصولاً سهلاً إلى أهم معالم المدينة.
. يقدم Eurong Beach Resort خدمات لا غبار عليها وكل أشكال اللياقة وحسن الضيافة اللازمة لإسعاد ضيوفه. يقدم هذا الفندق العديد من الخدمات الكفيلة بإرضاء أكثر الضيوف تطلباً. يمكن للنزلاء الاختيار من ضمن مجموعة من الغرف المصممة بعناية لتعكس جواً من الراحة، والتي يتجاوز عددها 54. يقدم الفندق العديد من الفرص للاستجمام كمثل حمام سباحة خارجي, صيد السمك, ملعب تنس, بلياردو. إن كنت تتطلع إلى إقامة مريحة وهادئة في خليج هيرفى، فستجد في Eurong Beach Resort بيتك الثاني. يُرجى العلم بأنه لا يُسمح بدخول هذه المنشأة الفندقية إلى بمركبات دفع رباعي على جزيرة فريزر. تغادر حاملة مركبات يوميًا من نهر "هيدز" جنوب خليج هيرفي إلى خور وانجولبا أو رصيف كينجفيشر، ومن نقطة إنسكيب (بالقرب من شاطئ ربينو عبر جمبيا) إلى هووك بوينت (نقطة الجنوبية من جزيرة فريزر). إن تكاليف انتقالات حاملة المركبات والمسافرين غير مشمولة في أسعار الموتيل/الشقق ما لم ينص على خلاف ذلك. الحجز المسبق للانتقالات بواسطة عبّارة المركبات ضروري. يُرجى الاتصال بالمنتجع مباشرةً للحصول على مزيد من المعلومات. يلزم الحصول على تصاريح قيادة "ناشيونال باركس" للقيادة في جزيرة فريزر. نقطة هووك: تعمل دائمًا من 7:00 صباحًا إلى 5:00 مساءً. location was good, friendly and professional staffs. Pros: clean, gardens and surrounds are well kept, service is prompt and fast. Unique part of the world. Cons: Booking through Agoda (US $) tricked me into paying above normal price in AUD. If you come here please, Bring your own box fan in summer. Put it next you you when you want to sleep. The rooms are not air conditioned. The ceiling fan is just okay. The rooms and resort have a real early 1990s feel, although the mattress felt new. A revamp and modernisation is required. Staff are satisfactory. They work till 8pm. We would stay again. Location is convenient, and good value for the family. Basic accommodation, but adequate. Our room was fairly clean although the floors hadn't been swept behind the doors and the shower floor had sand all around the edges. But that aside, it is good value for money. The resort facilities are good, we used the pool by the apartments which is nice and clean. The restaurant offers a themed buffet each night, we had an Asian buffet which was very good. Although the Aussie Roast night was a bit disappointing. However the breakfast buffet is definitely worth the money. The staff are all lovely and go out of their way to help you. This was our second visit to the resort and we will be going back. Overall ok. Bathroom quite smelly; food so so. We all enjoyed our overnight. Beach driving. Sightseeing. Bakery. Dinner. Very good location to see all the sites on Fraser Island. Resort right on the beach. The resort a little bit aged and needs a face lift in and outside. We would stay at Eurong Resort again. The pool, the pool , the pool. If I was the chef I would be very disappointed having served an apprenticeship to serve up dim sims , spring rolls and other manufactured foods at the resturant , When this establishment was built back in the seventies in was proberly ok , but nothing has been done since . 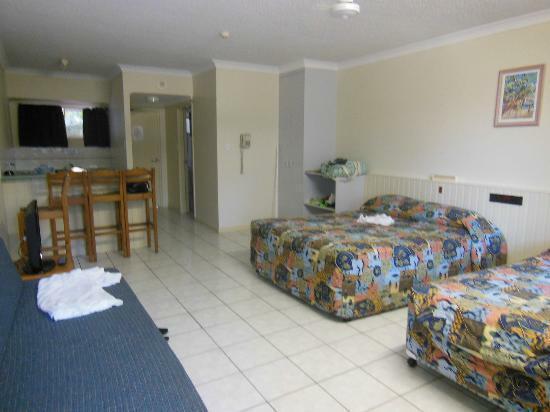 In the two bed roon apartments there is only one tv .the rooms I would rate as basic if not back packers . We were there for three nights .the towels were not changed at all . The shower is over the bath , the bath is 200mm above floor level , big trap . Also only one toilet in the bathroom . Had to use the one tea towel for days. For the high price for the unit I expected a higher standard . On the brighter side the pool was very clean and a great temperature , But you can get a good pool anywhere !! We only stayed one night at Eurobeach resort. 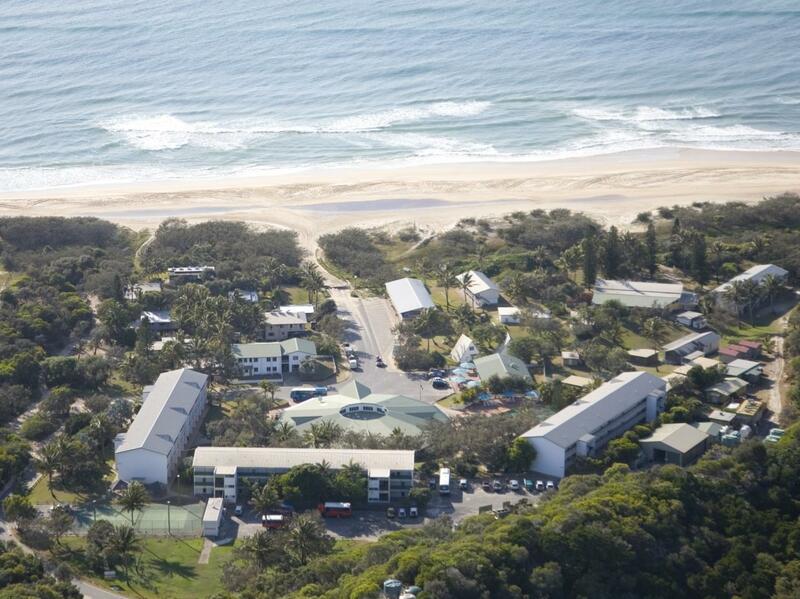 It is a good location i you want to explore Fraser island without camping. 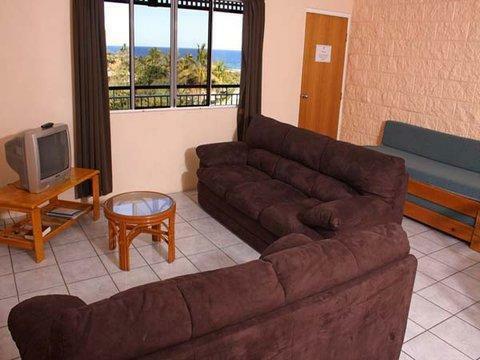 The resort is looks a bit old but rooms are clean and confortable. This is second time we stayed there. The first one was a few years back. Hotel is great. The only issue is that my booking somehow was not registered by the hotel. Not sure if it was Agoda or the hotel mistake as both saying different things. And I was asked to settle payment by the hotel. However Agoda has greatly arrange a refund and even gave discount for my subsequent booking. Rapport qualité/prix peu intéressant. L’hôtel profite naturellement de son emplacement. Le prix est donc excessivement élevé pour l'état des chambres, du "restaurant". Les menus proposés sont vraiment fort peu appétissants. Les chambres sont très spacieuses, et bien équipées mais tout est vraiment très ancien. Une rénovation de l'ensemble s'impose : cela justifierait le prix.